Tons of New Games, RPG books, and Minis! Posted: Sat Feb 03, 2018 7:53 am Post subject: Tons of New Games, RPG books, and Minis! New games, RPG books, and minis! 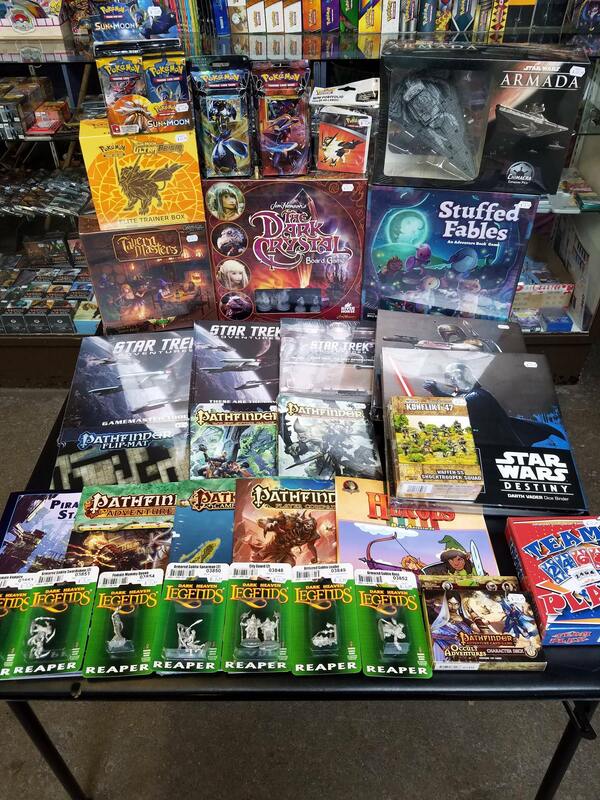 Tons of exciting new swag has made its way to Merlyn's today, including new games like Stuffed Fables: An Adventure Book Game, Tavern Masters, Team Play, and Jim Henson's The Dark Crystal Board Game. We've also got lots of new books for the new Star Trek Adventures RPG and Pathfinder RPG, plus new minis from Reaper and Konflikt '47. And if all that wasn't enough, we've also got boosters, Theme Decks, and an Elite Trainer Box from the new Pokemon TCG set; Sun & Moon Ultra Prism. Stop by the store to check it all out today!